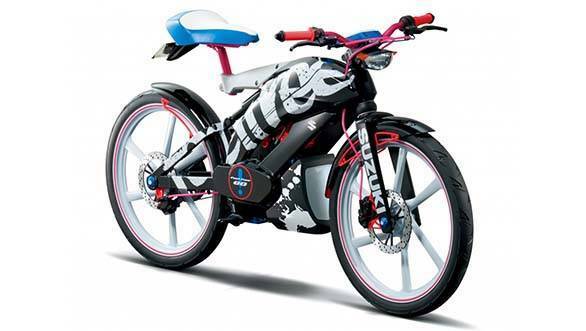 Suzuki showcased two 50cc two-wheeler concepts at the 44th Tokyo Motor Show. The Hustler Scoot concept is a scooter with a massive luggage carrying capacity while the Feel Free Go concept is a cross bike with an engine. The Hustler Scoot concept is based on a 790kg all-terrain small car, the Suzuki Hustler that debuted at the 2013 Tokyo Motor Show. 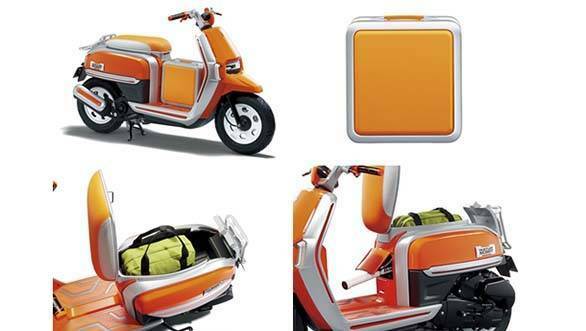 The scooter offers a lot of storage space, with a number of multi-purpose luggage compartments integrated into the body. It gets a big compartment under the seat, a carrier at the rear and a detachable suitcase that sits between the rider's feet. Longer objects like a tennis racket can also be fitted into the front (half of the racket goes inside the under seat compartment and the handle protrudes outward) if the suitcase is removed. All this swag, however, comes at the cost of performance. 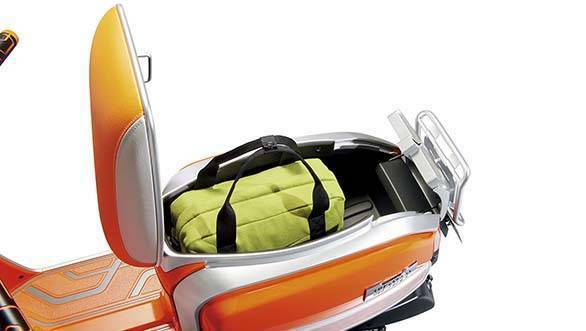 We don't expect much of that from this 50cc luggage carrier scoot. But look, such swag! The Feel Free Go is an engine-powered cross bike. It is fun to ride, assures Suzuki - it sure looks like it! Especially when you learn that it doesn't get pedals. 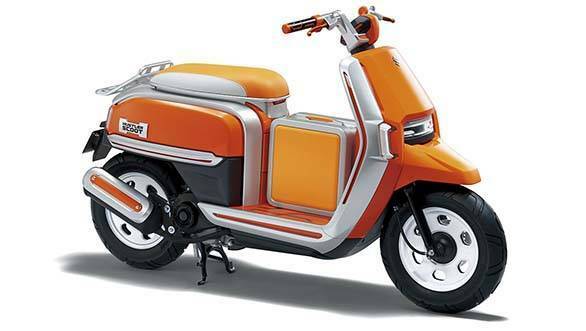 The rider's feet remain on the footpegs as the 50cc engine powers the rear wheel with a drive-belt. It gets a twist shifter, a saddle-type seat typical of a bicycle and a digital instrument panel with rear-view display. It also has a system that alerts other road users of your presence on the bike via a light beam projection. Niiiiiice!